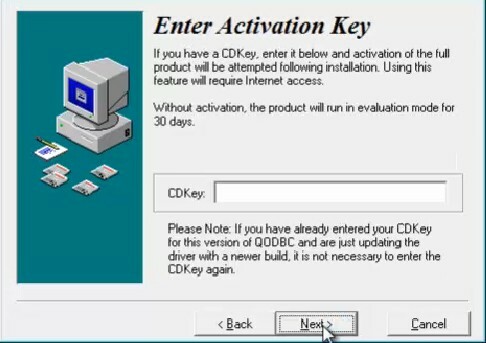 If you have purchased a license key, you can directly input your key to get QODBC POS full functional, but if this is the first time you install QODBC POS, you can leave this option blank to get a 30 days evaluation. 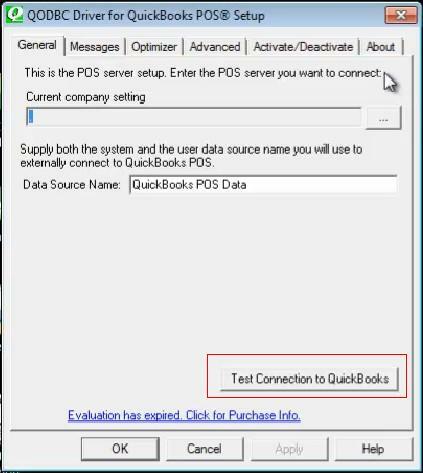 Run QODBC POS with QuickBooks POS under multi-user mode allows you to access and modify QuickBooks company file when other users logs in. 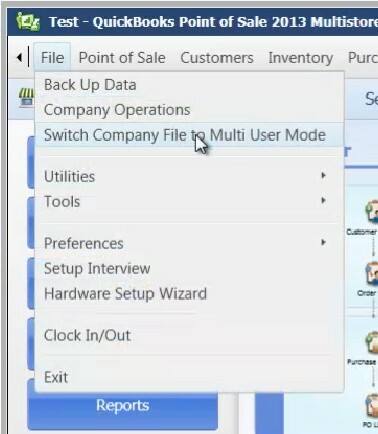 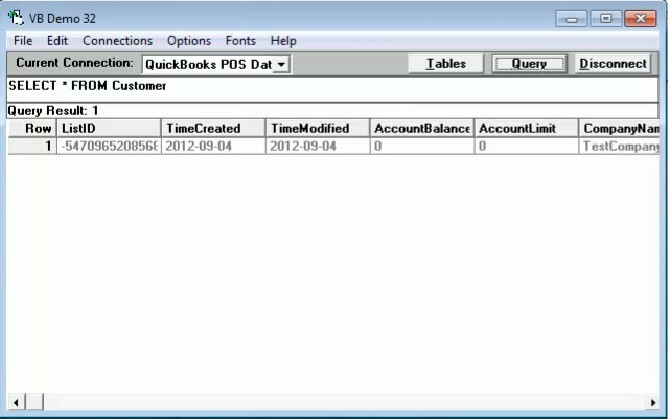 And you can also build a connection string to assign a company file to the DSN so that you don't need to open QuickBooks POS when you use the DSN. 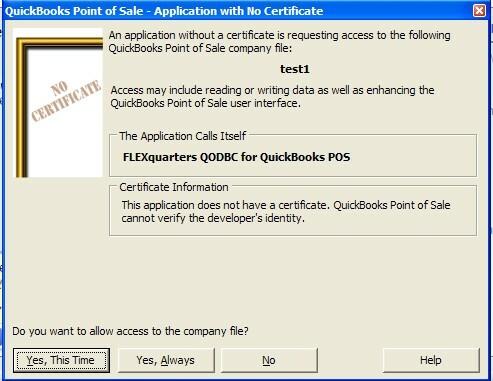 QuickBooks POS will ask you to grant permission to QODBC POS again, click "Yes Always" button. 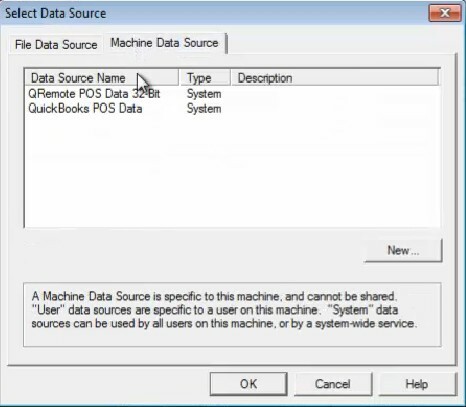 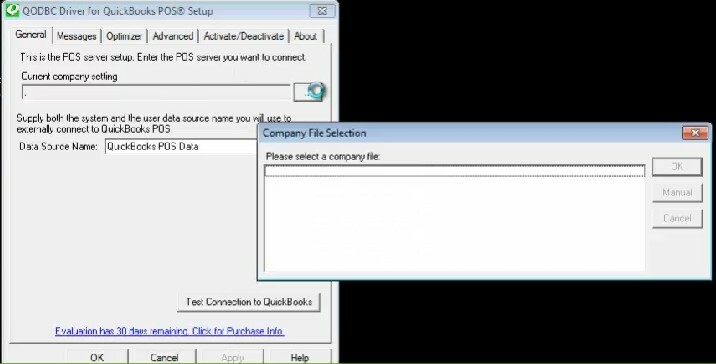 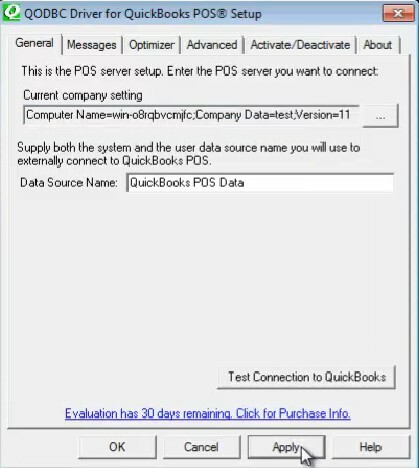 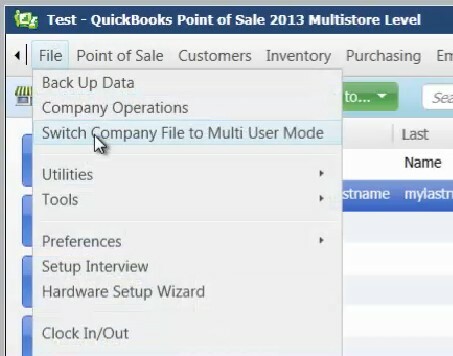 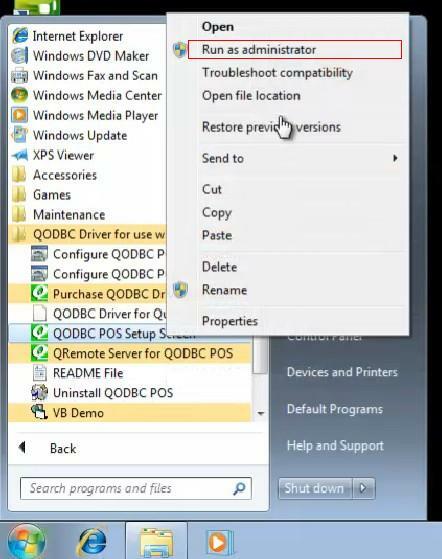 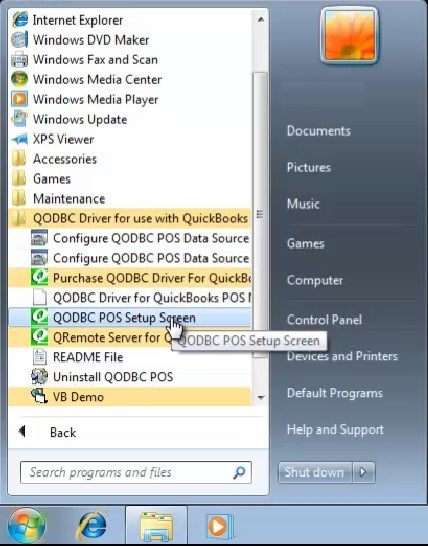 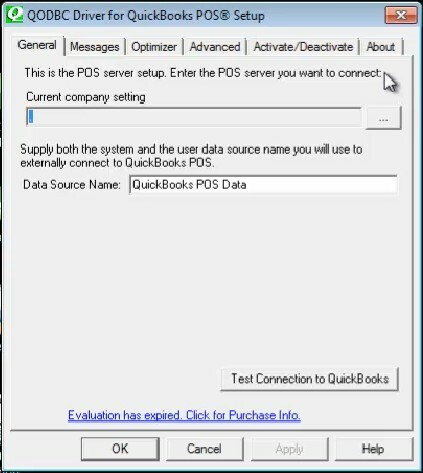 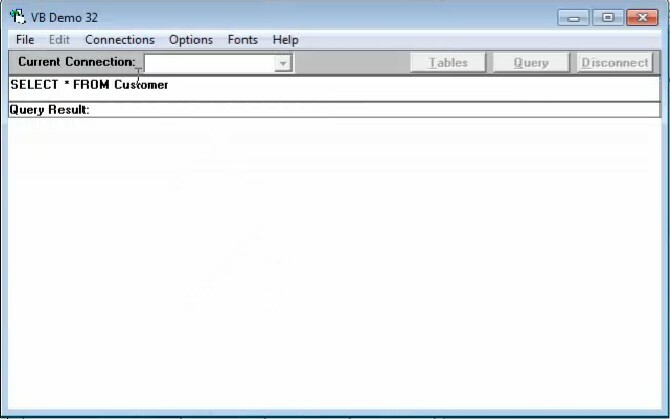 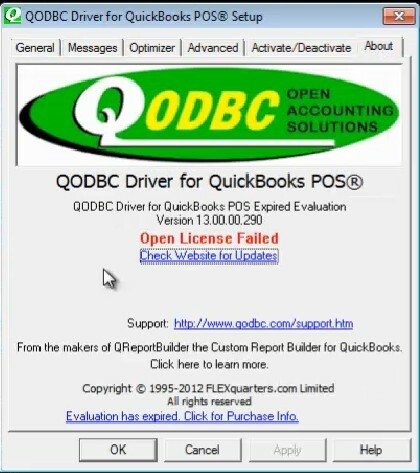 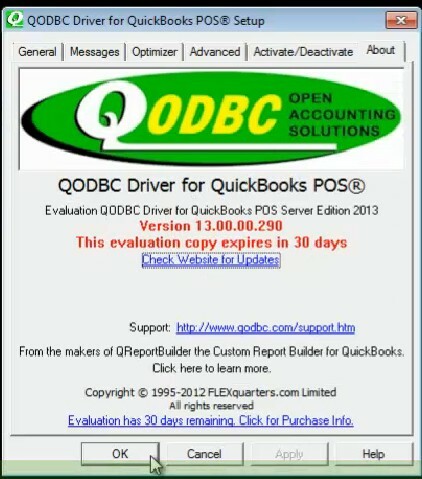 If QODBC POS tells you the connection is successful, then you can use our test tools VB Demo to view QuickBooks POS records just the same as what you did in single user mode.